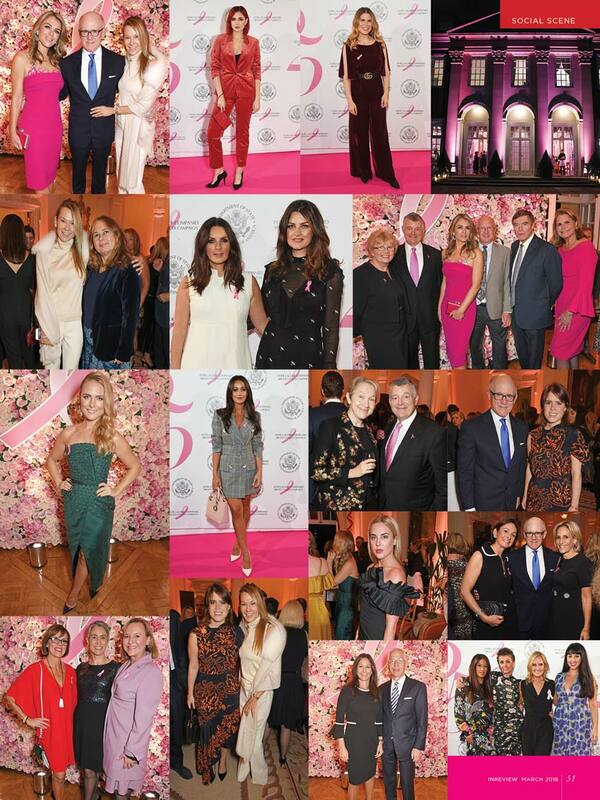 THE PINK RIBBON TURNS 25: WINFIELD HOUSE LIT PINK TO CELEBRATE THE ESTÉE LAUDER COMPANIES UK’S BREAST CANCER CAMPAIGN 25 YEAR MILESTONE. The American Ambassador to the United Kingdom honors the 25th Anniversary of the Pink Ribbon and the Breast Cancer Movement. Last October the Ambassador welcomed the President of Estée Lauder during a cocktail party to commemorate the Breast Cancer Awareness support by its company and the creation of the iconic pink ribbon by late Evelyn H. Lauder. The Event hosted by Robert Wood Johnson and his wife took place at Winfield- Embassy in the UK. 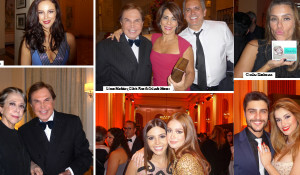 With the presence of Evelyn’s son, William P. Lauder, Executive Chairman of The Estée Lauder Companies Inc. and Elizabeth Hurley, Global Ambassador for The Breast Cancer Campaign. William P. Lauder, Executive Chairman of The Estée Lauder Companies Inc., continues to honor the legacy of his late mother. A worldwide campaing initiated by Evelyn Lauder to drive awareness, and helping to eliminate the cultural barriers to the prevention of breast cancer 25 years ago.